Brenton Balika grew up in the Chicago area in a family in which food and cooking were shared experiences. 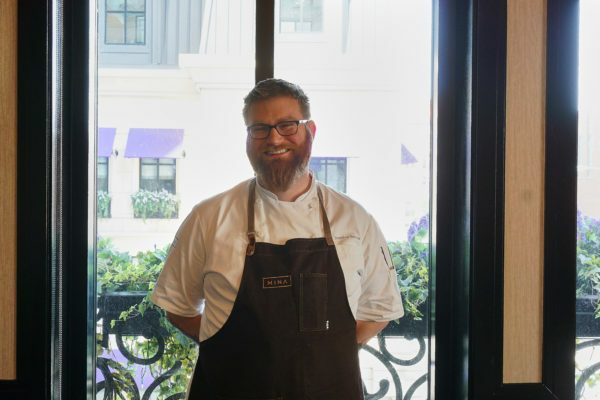 By his early teens, he developed the passion that led him to a career as a chef; he says the only jobs he has ever held are as a golf caddy when he was in the 8th grade and working his way up through restaurant kitchens. His externship as a student at New York’s Culinary Institute of America (CIA) took place at Chicago’s famed Charlie Trotter’s restaurant. While there, he not only learned from the famed chef-owner but also from executive chef Matthias Merges, who now owns the city’s thriving Folkart group of restaurants that include Yusho, Billy Sunday, A10 and Old Irving Brewing. 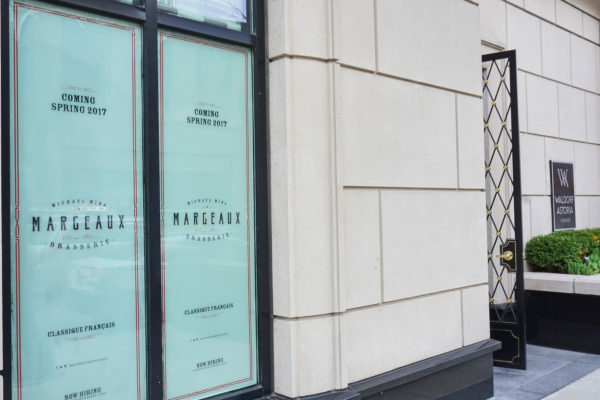 But Brent took a long and winding road to his current high-profile station: developing the soon-to-open Margeaux Brasserie and Petit Margeaux patisserie at Chicago’s Waldorf Astoria hotel for Chef Michael Mina’s San Francisco-based Mina Group. He worked in Las Vegas (for chefs who also earned their chops under Charlie Trotter) and in the mass-prep kitchens of Celebrity Cruise ships. He began his Mina Group relationship as pastry chef at the group’s Bourbon Steak restaurant in Washington, D.C., where he created a critically acclaimed (but short-lived) house-made cheese program. But like many people who love this city, Chicago always loomed on Brent’s horizon. An accredited sommelier, beer cicerone and sake server, he returned home in 2013 to help create a beverage-food pairing program for the Tenzing Wine & Spirits distributor, then ran the kitchen at The Dawson, a popular restaurant located near Chicago’s downtown, until The Mina Group tapped him for its first-ever Chicago project. 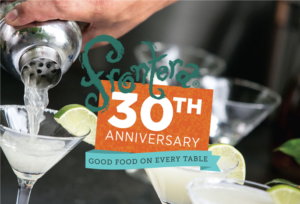 And even as the restaurant prepares for a spring opening, Brent will be representing the restaurant by preparing delicious treats — two words: lobster eclairs — at the Frontera 30th Anniversary Celebration, a joint fundraiser for Chef Rick Bayless‘ Frontera Farmer Foundation and FamilyFarmed, which will be held at The Art Institute of Chicago on Sunday, April 30. And even if you cannot attend the event, you can participate in our open online silent auction! The amazing prizes include a food tour of Mexico with Rick Bayless and Frontera restaurant staff; dinner cooked at your home by Rick and his staff for a party of 30; a seat at the kitchen table at Alice Waters’ famed Chez Panisse in Berkeley, California; a Chicago Cubs memorabilia and box-seat ticket package any fan of the reigning World Series champion will want to bid for; and much more. The following is an excerpted q-and-a of FamilyFarmed’s interview with Brent Balika. 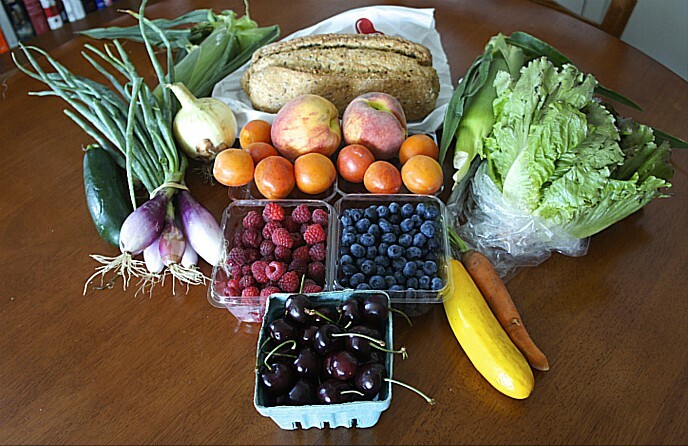 FamilyFarmed: Did you always have a passion for food? FamilyFarmed: Talk about starting out at the top. But at the same time, it must be amazing to get accepted into there, but the intensity of the situation must have been daunting. Brent: Very scary. I’ve never been at a loss of words with people. I don’t get star-struck with chefs. But with Charlie Trotter, it was hard to get a word out, because I didn’t know what to say. He ingrained a lot of passion in a lot of people. That was already present, but he was really good at getting the best out of people. FamilyFarmed: And working with Matt Merges must have been awesome. Brent: It was awesome. As I got to work with him really closely when I was on amuse. [Note: Amuse bouches are one-bite appetizers served at the beginning of meals, usually in fine-dining restaurants]. The amuse station was its own thing. It was intense. Even though it was a simple amuse station, it was not easy. There was no easy station there… It was an amazing time for that restaurant, and I got a lot out of it. Not only having it on my resume, but I also learned so much. It instilled an understanding of wine, I’d always enjoyed wine, but I was really a novice. It instilled a passion for beverages as part of the event. FamilyFarmed: We’re trying to encourage people to do more home cooking and re-engage with food. Just kind of de-mystifying the process. It doesn’t have to be complicated. If you get the best ingredients, you can let them speak for themselves. FamilyFarmed: Were the Margeaux concepts already determined? FamilyFarmed: Most of the chefs I’ve talked to will tell you that farm to table now is a cliche. If you want to succeed, it’s just what you do. 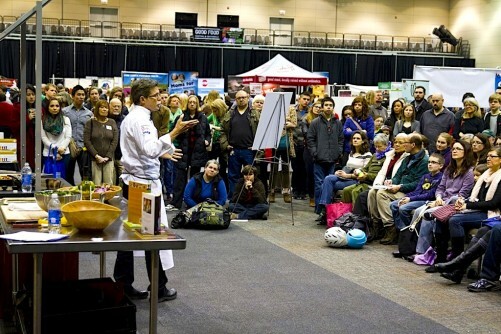 FamilyFarmed: Have you had an acquaintance with Rick Bayless? Brent: We’re incredibly honored to be part of it. It’s something pretty special for all of us. Originally Chef Michael was supposed to be out here. There were some scheduling conflicts and he wasn’t able to attend… I excited to get rolling on it. FamilyFarmed: And what are you making that night? Brent: I’m making lobster eclairs. We’re making a lobster pate a choux, lobster stock, it’s bright orange, and make a lobster mousse and stuff them. And try to figure out the best way to make a lobster glaze, and we’ll dip and glaze them, and they’ll be garnished with crispy shallots and chives… We’re also going to bring some Patisserie Margeaux pastries, macarons and other goodies, so there will be plenty of sweet treats. This entry was posted in Baking, Cheese, Farm to table dining, Frontera 30th Anniversary Celebration, Frontera Farmer Foundation, Good Food Dining, Good Food restaurant trends, Restaurants and Good Food, Sustainable dining and tagged Alice Waters, Bourbon Steak D.C., Celebrity Cruises, Chez Panisse, Culinary Institute of America, FamilyFarmed, Frontera 30th Anniversary Celebration, Frontera Farmer Foundation, Frontera Grill, James Beard Foundation Awards, Margeaux Brasserie Chicago, Matthias Merges, Mina Group, Petit Margeaux patisserie Chicago, Tenzing Wine & Spirits, The Dawson Chicago, Waldorf Astoria hotel. Bookmark the permalink.